Trying To Organize A Marathon, An Arab-Israeli Woman Runs Into Opposition : Parallels Conservatives in Tira pushed back hard at the idea of women and men running together in a public race. Someone went so far as to shoot at race organizer Haneen Radi's car. For now, the run is off. Haneen Radi, an Arab Israeli, wants to organize a marathon for her town of Tira, but was told the run couldn't include women. When she insisted, she received threats, and the back window of her car was shot out. Haneen Radi learned to run by walking. "I used to walk," says the 36-year-old mother of four. "I saw people running and said, I'll try that." Radi took off. In the decade since then she's finished eight marathons, and she now coaches a girls' running club with 80 members. "I'm another person when running," Radi says. "I'm happy, I'm smiling." A few months ago, Radi decided to organize a marathon in Tira, her hometown in northern Israel. "I thought, I'm bringing something very nice to my society," Radi said, surrounded by supporters at a recent rally on Tira's main street. "To bring health, to bring something really good to my own people — sport." In Tira, an Arab-Israeli town of about 25,000 people, most people are Muslim. The minarets of half a dozen mosques rise among low concrete buildings that sprawl off the main street, a two-lane road that cuts between a major highway and other small towns. The town center is a traffic circle, with city hall on one side and a hummus shop on the other. This is where some hundred people rallied two weeks ago to support Radi and her plans for a public race. Because not everyone in town liked the idea. "Certain people came to the municipality over here and said, 'You can do a race — but just for males, not females,' " said Radi, who refuses to name names. " 'No,' I said. 'No — you cannot put women aside.' "
Runners are not a common sight in Tira; Radi, in fact, often leaves town and drives to nearby Jewish towns to do her workouts. She says that women being seen running in snug or short sports clothes is not acceptable in Tira, whereas it's fine in neighboring Jewish areas. Women at the rally said that's not the only way Tira's social restrictions affect them. "You wake up and think, is this OK to wear or not?" says Yoaad Shbita-Daoud, a 29-year-old patent examiner who grew up in Tira. "When I'm abroad I don't think about this. It's a closed community, and how to dress is one of the points." Shaping female behavior starts "from a young age," says Atheer Ismail, who graduated from high school in Tira. She describes her home growing up as "not religious" but still observing "societal rules." "For example, if I want to hang out with my friends and come back late at night, my mom would say, 'Ah, but don't come too late, because what will people say?' " Ismail said. "The basic point is, someone should take care of you — a man, your brother could, your father." The main opponents to the proposed race in Tira said they were taking care of women by pressuring the city to not let them run. "Our religion tells us to take care of our girls' honor, so we won't let them go out and let boys look at them," said Rashad Fthelly, a member the Islamic Movement political group. Islamic Movement leaders distributed notices against the race and asked the city council to stop it. Unknown people threatened to disrupt the race. Then, late one night, someone shot the back window of Radi's car while it was parked outside her home. The threats of disruption didn't scare her, Radi said, "but when they shot my car I felt really afraid." Police have questioned one suspect in the shooting and let him go. 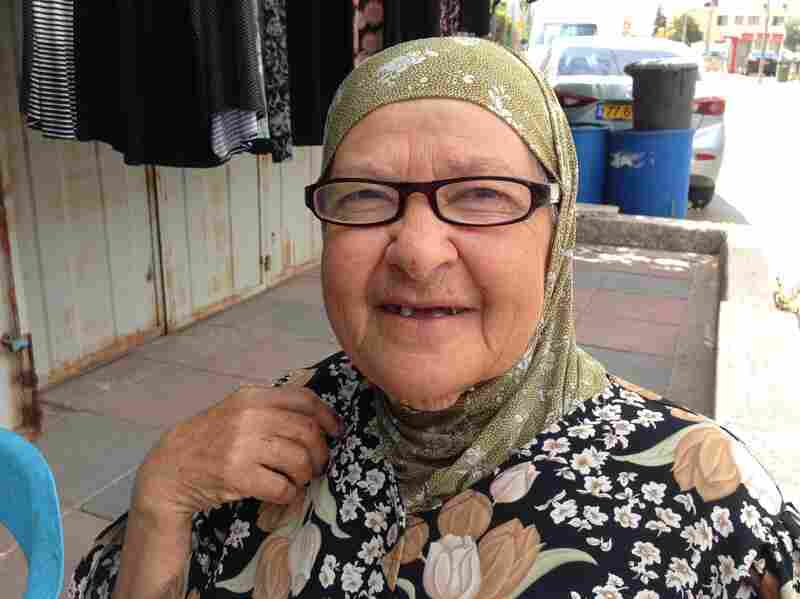 Samiyah Matar, 80, who owns a dress shop in the Arab-Israeli town of Tira, says shorts and sleeveless shirts aren't acceptable in public, but perhaps women could run if they covered up. The shooting riled the town, and opinion about the marathon remained deeply divided even several weeks later. Eighty-year-old Samiyah Matar, who runs a dress shop, said it would be OK, as long as women runners wore long pants and long sleeves. "Shorts and no sleeves is not acceptable in our religious or societal values," she said. 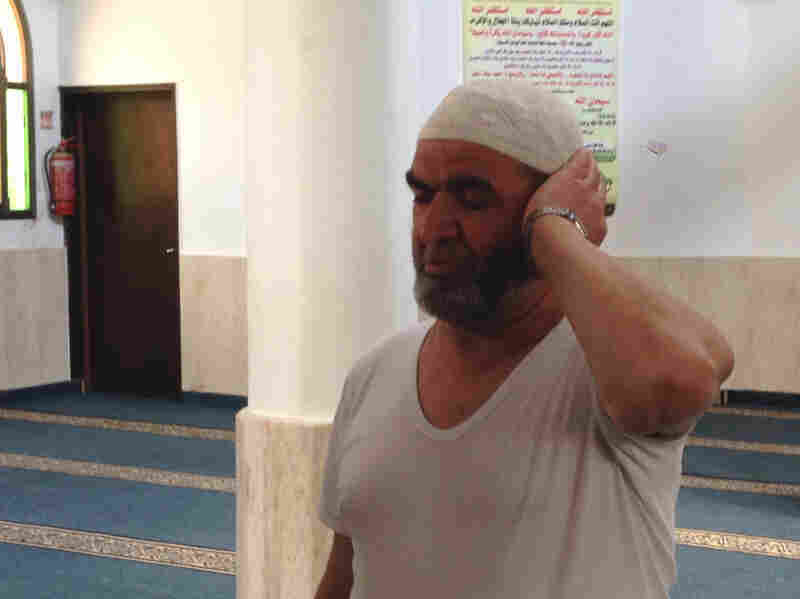 "When we go to Tel Aviv, or to the beach, we see people in different clothing, and nothing happens," says Rashid Mansur, who recites the call to prayer five times a day at a Tira mosque. A middle-aged fruit vendor who wouldn't give his name blamed "bearded men" — Muslim religious leaders — whom he described as "crazy" for opposing the marathon. But devout Muslims in the town were also divided. Rashid Mansur, who calls others to pray five times a day at one of the mosques, said he had no problem with women running in public, even in sport clothes. "When we go to Tel Aviv, or to the beach, we see people in different clothing, and nothing happens," he said. Some opponents suggested holding essentially two races at the same time — women would run in the municipal stadium while men ran in the streets — but that would have been "meaningless," said Sameh Iraqi, deputy head of the Tira town council. Iraqi, a Tira native, says he senses a growing interest in culture, art and sport in the community. He called the conflict over the marathon part of shifting from a town to a city. "We view our society as going through a developmental stage," he said. "We hope light can overcome darkness." There is no scheduled date now for the Tira marathon. Radi says she wants to keep promoting running, but because of the threats she no longer wants to take the lead in organizing the race. 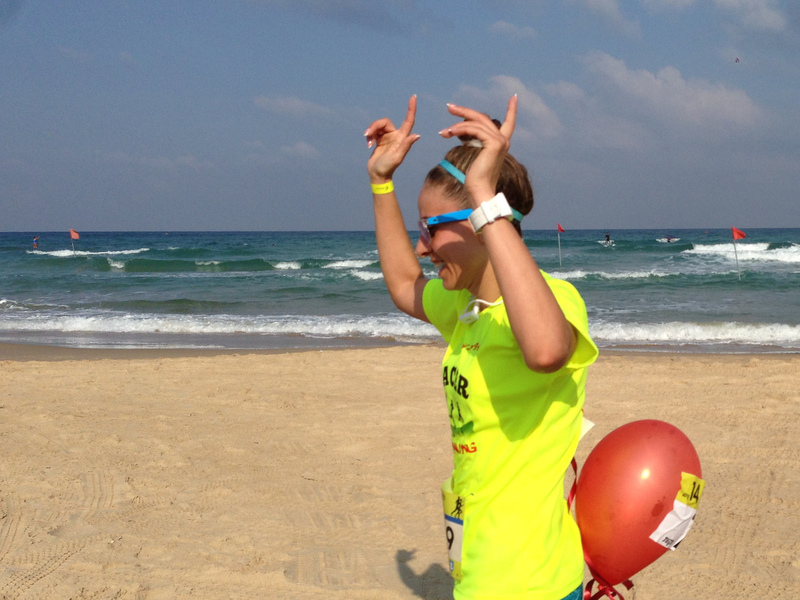 Haneen Radi finishes a 14 kilometer race in the Israeli beach town of Netanya. Because of the reaction of conservative Muslims to her running clothes, she usually runs in Jewish areas. 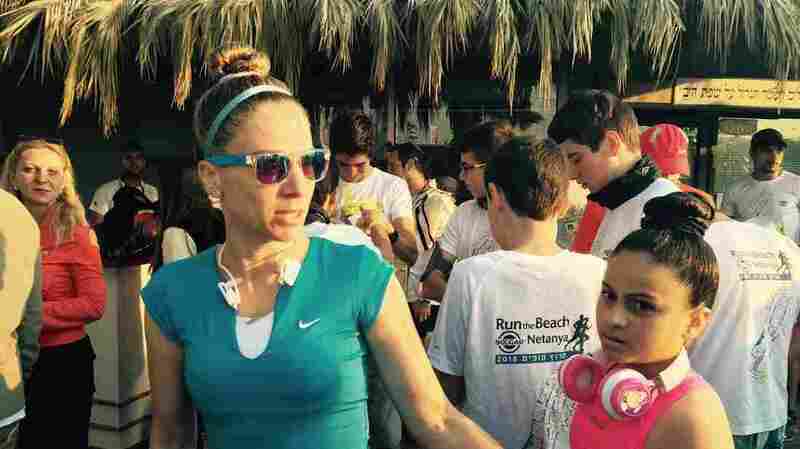 She is still coaching the girls' running club, though, and took more than a dozen members to the Israeli beach town of Netanya recently to try their hand at racing. 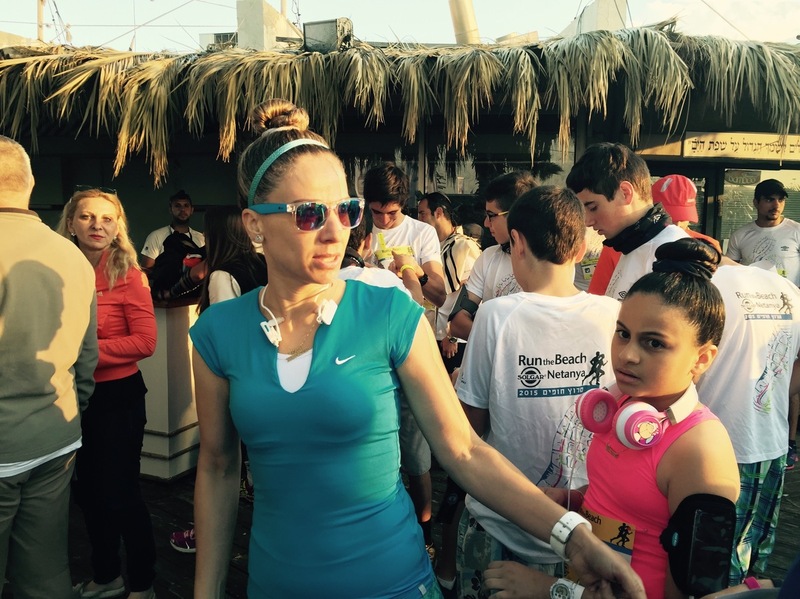 Shams Pichra, 11, signed up for the 5 kilometer run in Netanya. Running is her hobby, she says, making her feel "good" and "excited." But how did the canceling of the Tira marathon make her feel? "It's a mistake," she says. "A marathon is not something we have to be ashamed of."